Mornings 6 a.m. to 10 a.m.
Born and raised in Breckenridge, Bill landed at KBMW in 1978 when he was still in high school. KBMW has been in Bill‘s blood most of his life. His father helped install the electrical wiring at the current 605 Dakota Avenue location. Bill‘s uncle and brother both worked at KBMW as well. Bill toured the region for over 25 years singing and fronting bands like Billy D and the Crystals, Fat Daddy‘s and Helena Handbasket. 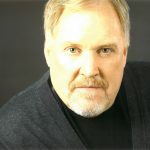 Bill has spent over 35 years acting in countless theater and film roles in the upper mid west. Bill lives and paints on canvases in Wahpeton with his fiancé. Scott was born and raised in Wahpeton, graduating from Wahpeton High School in 1983. After spending a couple years working at the former 3M Plant in Wahpeton, Scott attended Brown Institute in Minneapolis, earning a degree in radio communications. Scott started his radio career at KQLX radio in Lisbon, North Dakota, before returning to Wahpeton to work for KBMW from 1987-89. In the fall of 1989 Scott began his journalism career by being hired as a sports writer and eventually sports editor of the Daily News in Wahpeton in the spring of 1990. Scott spent nine years working at the Daily News before taking the sports editor job in Cheyenne, Wyoming. Since then Scott has also been the sports editor of the Ames, Iowa, Tribune, Fargo Forum and Laramie, Wyoming, Boomerang, earning numerous state and national awards for his writing. Scott returned home to Wahpeton to become the Sports Director and morning show co-host with Bill Dablow in late March of 2019.